Artistic photographer Tom D’haenens travelled the world for over eight months to discover the heart and soul of Exmar, a maritime logistical and oil-and-gas energy solution provider. He had succeeded in translating in terms of beauty and pathos the world of fast movers, restless innovators, high-tech developers, creative engineers and unique human achievement. He managed to convert everyday life along the routes of energy into brilliant images. These pictures were taken, time and again, from that unexpected special angle: his trademark! Through his lens he has shown us panoramas, but equally details, that one way or another normally would have remained totally invisible to us. They strike us, tease us and challenge us to live the wonderful story of Exmar through his eyes. 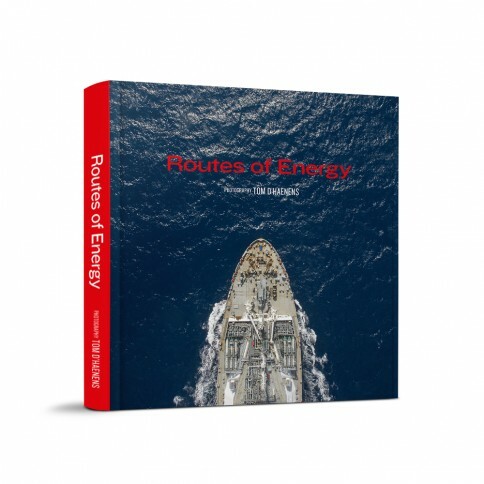 He invites us to take a closer look into the multiple fascinating aspects of energy moving around the globe on its way to the end-users. He has captured in colourful tones the essence of what energy means to all of us. He has fully succeeded to show, to suggest, to point out that the complex routes of energy build bridges between continents, countries, industries, and societies. They energize our everyday world.